22q is a genetic disorder caused by the deletion or duplication of between 30-40 genes in the middle of chromosome 22 also known as 22q11.2. Referred to as a rare genetic condition, however it's the second most common chromosomal syndrome next to down syndrome, it is unfortunately not as rare as the little-known name it is referred as. 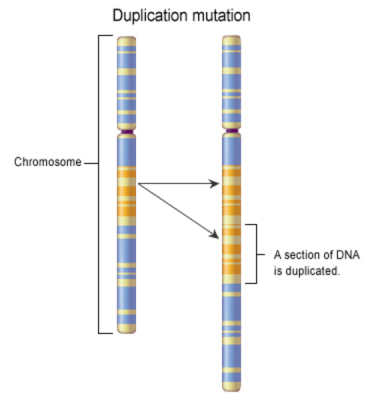 DiGeorge syndrome is estimated to occuring in 1 of 2000 - 4000 live births for (Deletion Syndrome) and 1 of 4000 live births for (Duplication Syndrome). 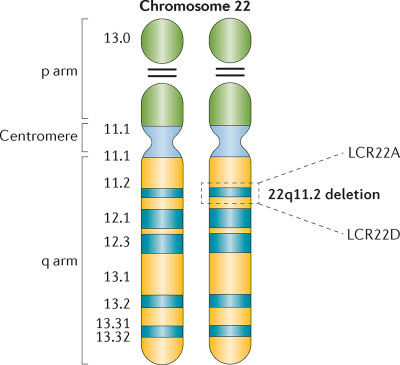 Described as the most common genetic syndrome you've never heard of, everyone with 22q is affected differently and most children with the condition survive to adulthood and enjoy a relatively normal life span and independent life. However 22q can lead to a range of health issues which can affect the quality of life and even shorten a lifespan. Congenital heart disease is a common concern as well as defects in the palate, along with many other common issues such as kidneys, immune system, endocrine system, weak muscle tone can be affected in those suffering with the 22q syndrome. Children with 22q present learning difficulties and are often misdiagnosed as being on the autistic spectrum. Studies have shown that although some of the developmental symptoms may be similar, the causes of these symptoms are quite different. This common misdiagnosis often leads to 22q patients receiving the wrong kind of care and support with potentially a disastrous effect, because of the different treatments offered can be as varied as the root causes themselves. Children with 22q often develop other medical issues particularly concerning mental health issues which could otherwise have been properly treated with early intervention if diagnosed correctly. Mental health issues are very common among patients living with 22q particularly if diagnosis is misdiagnosed. 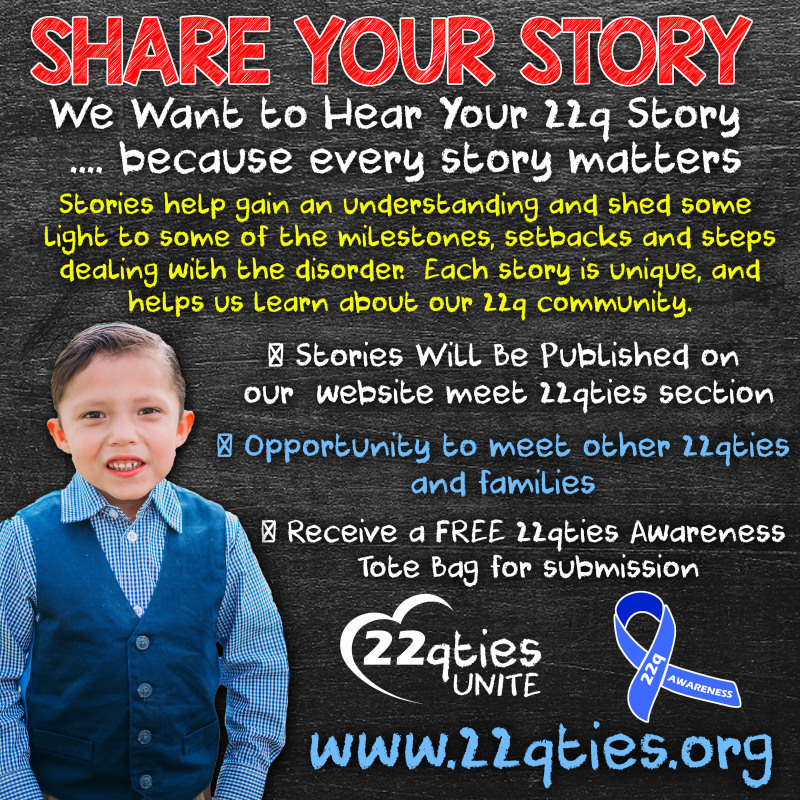 22q patients mental issues often present themselves at a much earlier age than the general population. There is a lack of familiarity of 22q not only among parents and educators but also those in the medical profession, practically in health professionals in general practice. Because of this, many symptoms go unnoticed until they have been already progressed considerably, which can have a terrible impact on the patient, their family, as well as affect them in employment, quality of life and mental well being. Early detection of 22q provides the opportunity of early intervention and management of the condition which can significantly improve the quality of life in patients and their families. 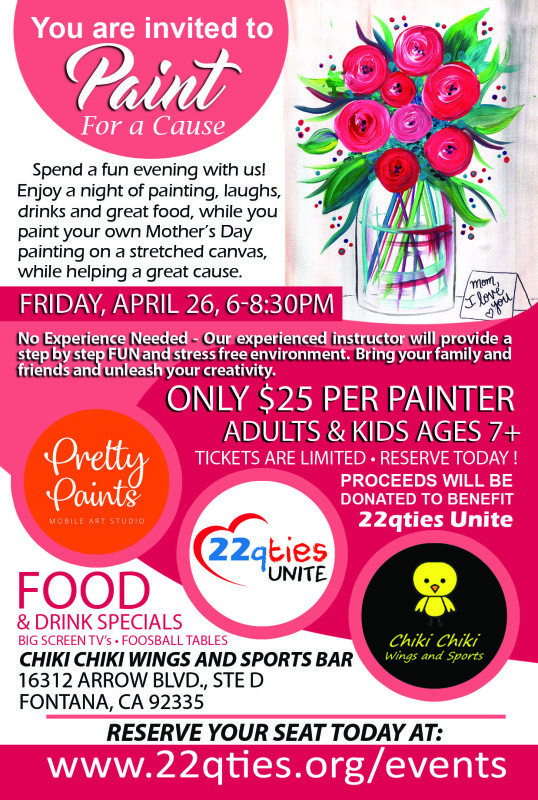 Please join Pretty Paints and 22qties Unite as we bring you a night Painting and dining. No experience is needed - our experienced instructor will provide a step by step, fun and stress free environment. So bring your family and friends and unleash your creativity. Cost: Free Admission to Zoo for our registered families and Free Food. There is a $5.00 parking fee upon entering Irvine Regional Park premises. Meeting Area: Group Area 2 - Located on the east side of the OC Zoo entrance. Raffles: We will be holding a few raffles for baskets and gift cards for $5.00 each at the event. We are also holding a Raffle for (4) Disneyland Park Hopper Tickets for $20 each. You can purchase Disneyland Raffle Tickets online or with one of our board members. (Winners Don't Need to be present to win. We will livestream the raffle on our social media accounts. 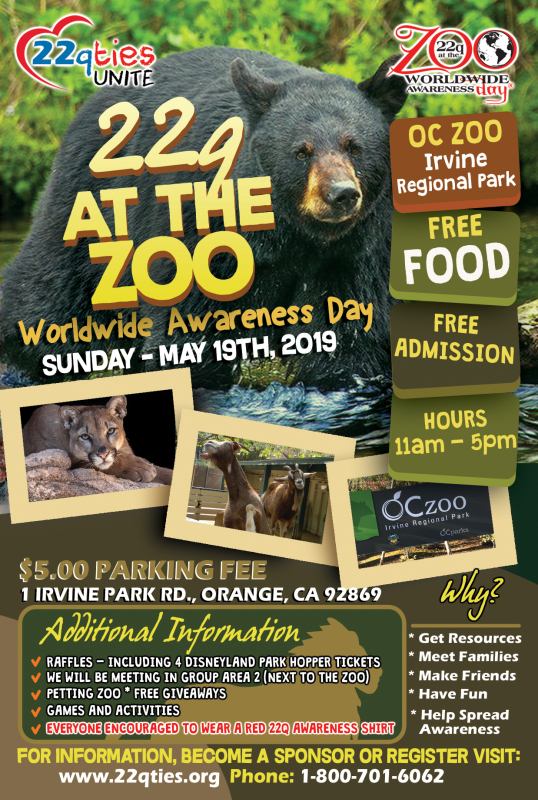 Please make sure to Register your family for our 22q At The Zoo Event. We would like to get an estimated count to ensure their is enough food for our families in attendance and to ensure we purchase the Zoo tickets for our families. 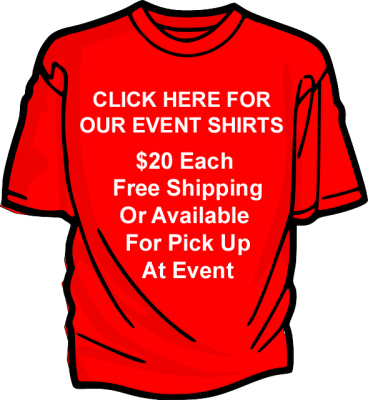 You may also purchase our "I Love Someone with 22q" Red Event Shirt and purchase Disney Raffle Tickets.